Steam is the ultimate entertainment platform. Steam allows you to create and share content and grants you access to endless amounts of entertainment-- whether you’re using a Mac, PC, mobile device, or even yourself. With Big Apple Buddy’s personal shopping service, you can now buy direct from the USA Steam online store anytime, anywhere. 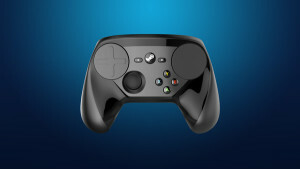 The Steam Controller allows you to experience a new level of control when playing your favorite games. With this device, you can play your entire collection of Steam games on your television. This controller is perfect for gamers who are tired of looking at the tiny screens and buttons of their mobile phones and allows you to bring the games to life on a larger screen. It’s also ideal for playing games in large groups and a social setting. 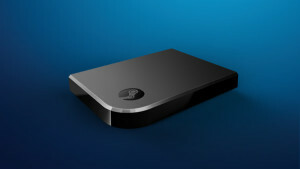 The Steam Link is the device you’ll need to connect to your television so that you can play games on any TV in your home. Setup with the Link is easy: you simply have to connect it to your TV and home network, and it will automatically detect any computer running the Steam software. Then grab a Steam Controller, sit back, and play from any selection of games all from the comfort of your own couch. 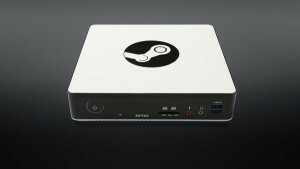 The ZOTAC NEN Steam Machine will transform everything you know about gaming. With NEN, there are no limits as to where your gaming can take place. You are no longer confined to sitting at a desk hunched over a computer! You can play your favorite PC games on any television in the house, and the NEN maintains the brute force of a gaming PC. Unfortunately, the USA Steam online store does not currently offer international shipping. However, Big Apple Buddy, your personal shopper, can help you buy products direct from the official USA Steam online store and ship them to your doorstep, no matter where you are in the world. We offer international shipping to over 190 countries including Australia, Austria, Bahrain, Belgium, Bosnia & Herzegovnia, Brazil, Brunei, Canada, China, Croatia, Cyprus, Denmark, Estonia, Finland, France, Germany, Hong Kong, Hungary, India, Indonesia, Ireland, Israel, Italy, Japan, Kenya, Kuwait, Lithuania, Macau, Malaysia, Maldives, Mexico, Namibia, Netherlands, New Zealand, Norway, Oman, Pakistan, Portugal, Saudi Arabia, Scotland, Serbia, Singapore, Slovenia, South Africa, South Korea, Spain, Sri Lanka, Sweden, Switzerland, Taiwan, Tanzania, Thailand, UAE, UK and Ukraine. If you would like to buy from the USA Steam online store, simply let us know which items you would like to order (by filling out the form on the right) and we’ll get back to you with a free international shipping quote within 24 hours!